In Canterbury, Sheffield held the annual Ewe and Lamb fair last week with 6,000 lambs on offer and a smaller array of ewes. Prices for ewes didn’t appear excessive after some of the recent prices being received lately for ewes. 2th ewes achieved up to $200 with the lowest recorded ewe price $126. An interesting feature of the sale was the fact that many of the lambs being sold were refugees from Southland and Otago earlier in the season. Local farmers having made a margin are happy to move them on to make room for the next cuts to come on. Agents and trucking firms will be smiling at the multiple movements. Prices for lambs were reflective of most of the saleyard sales recently with prices ranging from $71 up to $126. Throughout the country both saleyards and schedule prices are holding well and the time when prices traditionally drop is coming close to an end. On the rural political front, outgoing Beef + Lamb sheep and beef chairman  has left farmers with a parting thought. He was aware the government had three years to deliver on a lot of election promises it had made, and said, “It was really important the farming sector engaged with the government to share their views” and "How do we move to being carbon neutral? As farmers we have to be careful that we don't get freaked out by this but engage in a proactive way.” However, he couldn’t totally take his bi-partisan hat off stating "If the solution is planting up all of the hills with blanketed afforestation, I can tell you we will fight tooth and nail against that." Perhaps he needs to be reminded what the Gisborne East Coast and Tutira regions looked like after Cyclone Bola went through. While the greatest amount of public pressure at the moment is targeting water quality primarily influenced by intensive agriculture, a time will come when eroding hill country will come into focus and arguably more damage to both land and water is occurring. The recent influx of cyclones are only going to heighten peoples concern over land erosion. It’s not too late for land owners to increase the rate of planting, and with tree species of their choice before the regulators get involved. 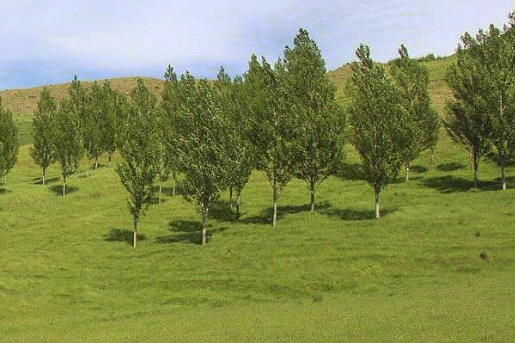 Many regional councils are encouraging farmers to adopt planting programmes with Taranaki Regional Council's South Taranaki and Regional Erosion Support Scheme  (STRESS) scheme provides funding for projects to reduce the risk of erosion in the eastern hill country one such programme. A reminder of the power of the regulator was felt last week when a McKenzie farming couple, no doubt frustrated by the time the consenting process was taking chose to go ahead develop land and install irrigators without completing the necessary processes, have their applications declined . Prime beef prices have softened this week through out the country and it is only a matter of time before manufacturing grades follow suit as cull dairy cows, currently mopping up the good pasture available, start to flow onto the market. Weaner sales are currently underway and the specialty sale appear to be achieving good prices with the ‘mixed’ sales not so hot. Top price seen this week was for weaner steers in the 205-350kg range was $1200 seen at the Te Kuiti weaner sale, but still not catching the $1225 recorded at Stortford lodge last week. Both South Island processor are paying $11.00 per kg for 45-85kg stag indicating the pressure for supply currently existing. Weaner sales for deer are getting closer, with the Taihape sales on 11th and 12th of April.